A patron saint is not, in fact, a trivial insignia for a Society, such as a St. Denis or St. Nicholas for an inn. Nor is it an honorable name under which a good impression can be made before the religious world: it is a model that we must strive to live, as he himself lived it, the divine model that is Jesus Christ. It is a life that must be continued; a heart in which to warm one’s heart, an intelligence in which to search for lights; a model on the earth and a protector in the sky; they are owed the double worship of imitation and invocation. Frederic Ozanam, Letter to François Lallier, May 17, 1838. 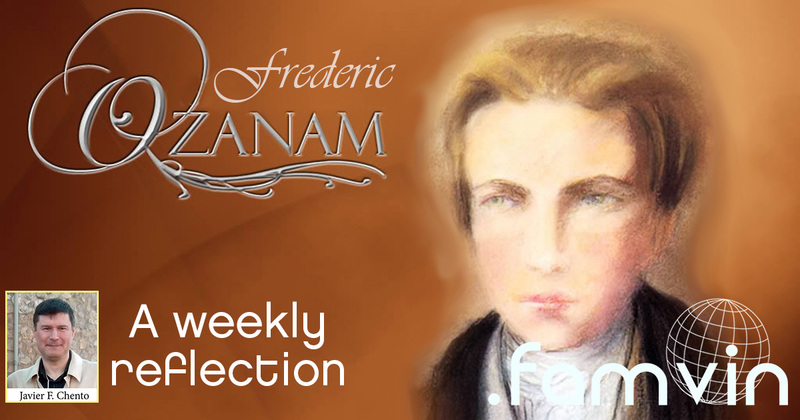 Within a long letter in which Ozanam tells his friend the situation of the newly created conference in Lyon, we find this text that is worth pondering. Frederic is a young man (25 years old in 1838) excited by the work of the Society of St. Vincent de Paul which, after just 5 years of existence, begins to bear fruit and expand to other cities besides Paris. It is admirable with what simplicity and clarity Frederic shows us the role of the patron saint, in this case of St. Vincent de Paul in the Society that bears his name. I highlight several words that stand out in this text: model, strive, imitate and invoke. Model: We Vincentians have as a model for following Jesus Christ in Vincent de Paul and many others who followed the charism of the exclusive service to the poor. Frederic himself is one of them! We follow Christ, model of the servant, and in these patrons, saints, blessed and also anonymous Christians, we find the direction to be able to do so. Strive: Following Jesus Christ takes effort. The way of the Christian is not simple, and the way of the Vincentians may involve difficult and even risky situations. Imitate: it means much more than repeating exactly what was done in other times. Intelligence illuminates us to adapt to the current times those attitudes and actions that were given in other times. A clear example: how can we imitate Vincent de Paul or Frederic Ozanam, both great communicators during their lives, via the new platforms of social media that we have today? Invoke: but not to worship, because only God deserves our adoration. To what people, models of following Jesus Christ, do I look most? And among them, what aspects of their lives do I consider to be most important? Today, how can we imitate these believers whom we admire, some of whom lived several centuries ago? Do I have trouble following Jesus Christ? Do I have to struggle?